ABU DHABI (Reuters) - Saudi Arabia plans to reduce oil supply to world markets by 0.5 million barrels per day in December, its energy minister said on Sunday, as the OPEC power faces uncertain prospects in its attempts to persuade other producers to agree a coordinated output cut. 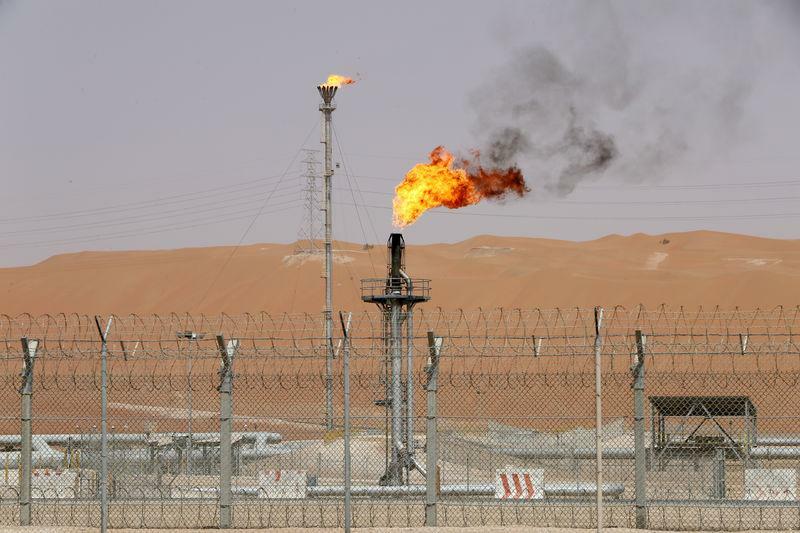 Khalid al-Falih told reporters that Saudi Aramco’s customer crude oil nominations would fall by 500,000 bpd in December versus November due to seasonal lower demand. The cut represents a reduction in global oil supply of about 0.5 percent. Saudi Arabia has increased output by just about 1 million bpd this year under pressure from U.S. President Donald Trump and other consuming countries to help balance the market to compensate for lower supplies from Iran due to U.S. sanctions. But since Iran's customers were given generous waivers to continue buying crude, concerns grew about market oversupply and oil prices fell to below $70 per barrel on Friday from $85 a barrel in October. "We have been increasing production in response to demand," Falih told reporters in Abu Dhabi ahead of a joint OPEC, non-OPEC market monitoring committee meeting. Saudi Arabia is discussing a proposal that could see OPEC and non-OPEC oil producers cut output by up to 1 million bpd, two sources told Reuters earlier on Sunday, as the world's top oil exporter grapples with a drop in crude prices. The sources said any such deal would depend on factors including the level of Iranian exports after the United States imposed sanctions on Tehran but granted Iran's top oil buyers waivers to continue buying oil. Russian participation was key to helping OPEC rebalance the market during 2017-18. But Russian Energy Minister Alexander Novak said on Sunday he wasn’t certain the market would be oversupplied next year. He said the oversupply for the next few months would be seasonally driven while by mid 2019 the market could be balanced again and demand could even exceed supply. Riyadh was surprised by the waivers granted by Washington to Iran's main customers such as China and India, a move which hit oil prices, at least three industry and OPEC sources told Reuters. Now Saudi Arabia wants to act to prevent a further slide in prices and is leading discussions on cutting oil output next year, the sources said. Under a deal set to expire at the end of the year, OPEC and non-OPEC producers agreed to curb output by around 1.8 million bpd. But producers ended up cutting more and so agreed in June to limit their reductions by more than their output targets, meaning restoring about 1 million bpd in output. OPEC and its allies will meet in Vienna on Dec. 6-7 to decide on output policy for 2019. "There is a general discussion about this (cut). But the question is how much is needed to be reduced by the market," one of the sources said in Abu Dhabi on Sunday. "No one expected the waivers. Saudi Arabia wants to at least put a floor under oil prices. No one wants a free fall in prices," the source added. Kazakh deputy energy minister Magzum Mirzagaliyev told reporters in Abu Dhabi that he understood Saudi Arabia was suggesting using August-October output levels as a baseline for determining cuts. Falih did not rule out the possibility of a cut next year, but also said he would like to "move into 2019 with minimum interventions." "I think ideally we don’t like to cut. Ideally we like to keep the market ... liberally supplied and comfortable. We will only cut if we see a persistent glut emerging and quite frankly we are seeing some signs of this coming out of the US, we have not seen the signs globally," he told reporters. Washington gave 180-day waivers to eight Iranian oil buyers - China, India, South Korea, Japan, Italy, Greece, Taiwan and Turkey. This group takes as much as three-quarters of Iran's seaborne oil exports, trade data shows. The U.S. administration has vowed to reduce Iranian oil exports to zero and Trump has put pressure on Saudi Arabia to raise output to cool the market. Iran's crude exports could fall to little more than 1 million bpd in November, roughly a third of their mid-2018 peak. But traders and analysts say that figure could rise from December as importers use their waivers. Falih said last month the kingdom would pump 11 million bpd in November, up from 10.7 million bpd in October. He also said there could be a need for intervention to reduce oil stockpiles after increases in recent months.